NTR Biopic is the most trending movie in the film circle. NTR Biopic is being directed by Krish and Ram Gopal Varma and announced their release dates as well. 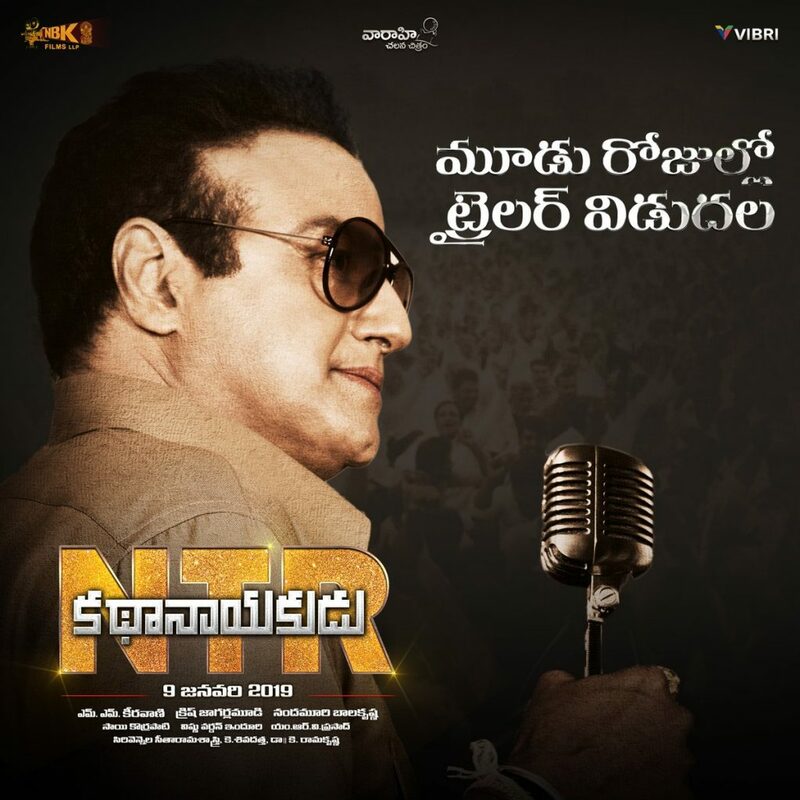 While NTR Kathanayakudu releasing on January 9th, NTR Mahanayakudu is slated for Republic day release. Eyeing the Mahanayakudu release date RGV has announced its Lakshmi’s NTR to release on 29th January. As Krish directed NTR Biopic is receiving tremendous response just by its poster release RGV is gearing up to dilute it. NTR Biopic trailer and Audio Jukebox will be released on December 21st encashing it RGV is releasing Vennupotu first song look from Lakshmi’s NTR on the same day. RGV NTR biopic mainly concentrates on Legendary actor-politician Nandamuri Taraka Rama Rao political career. Releasing Vennupotu on the same will make any difference to Balakrishna is the most gossiped topic in the industry. Previous articleజ‌య‌హో ప‌వ‌న్ క‌ళ్యాణ్.. మెగా హీరోల‌కు ఇదే ప‌ని..
Next articleఎఫ్ 2 క‌థ అక్క‌డ్నుంచి అనిల్ రావిపూడి స్పూర్థి పొందాడా..? Prabhas Saaho Copied From Hollywood Movie!